This week, fashion designers such as Marc Jacobs, Moschino, Mother of Pearl, etc. have shown off their new Resort 2017 Collections on the runway! During a daily browse through Instagram, I came across models dressed in these collections: eccentric garments with a variety of different patterns, overlays, vivid colours, styles and silhouettes with different themes. I love the colour scheme of his collection: light, soft pastel colours - mainly pink, purple and white - contrasted with bold vivid colours, like bright red-pink and black. I also love the floral and striped patterns as it gives a fresh, feminine look! I'm a big fan of 1950s-60s fashion, and the silhouettes and styles of these pieces give a retro vibe and I am in love!! According to a review from runway Vogue, he claimed to have pointed out a 'so-bad-it's-sort-of-good' fusty '50s living room on his moodboard! 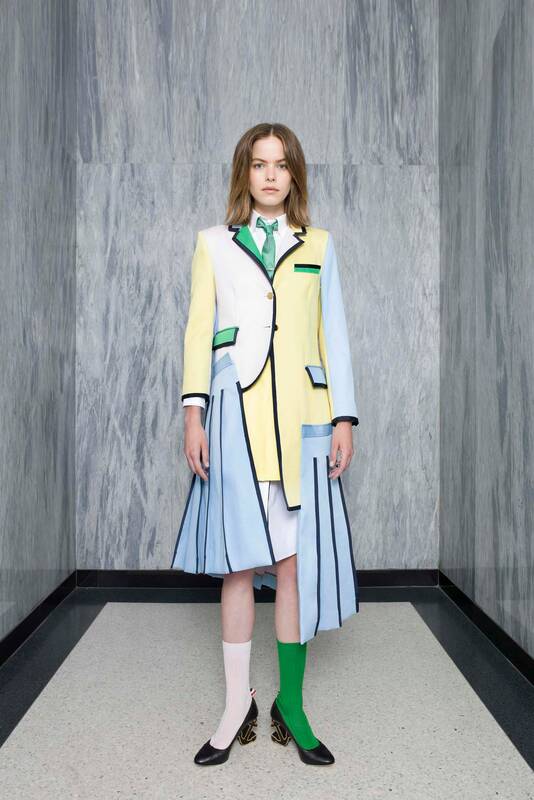 This is also one of my favourite pieces from Thom Browne's collection. 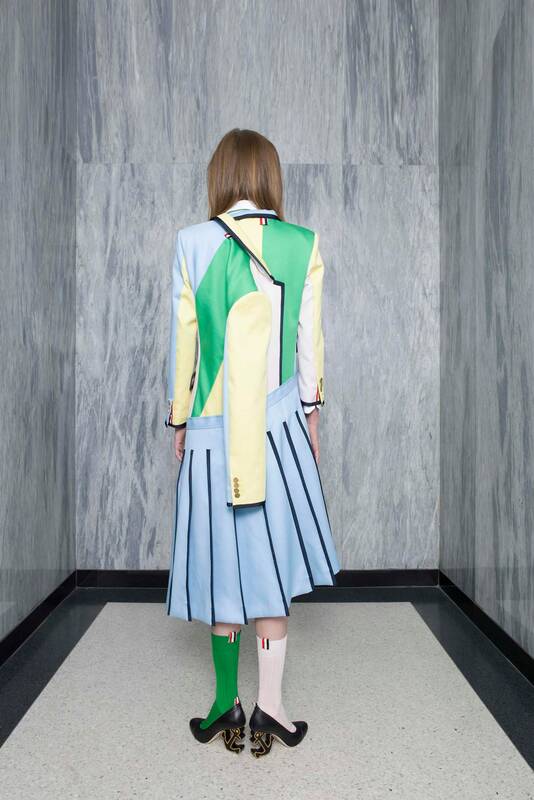 The distortion of the skirt and blazer looks really cool and I really like the colour scheme. The anchor shoes and the odd socks are peculiar but I love its unconventionality! 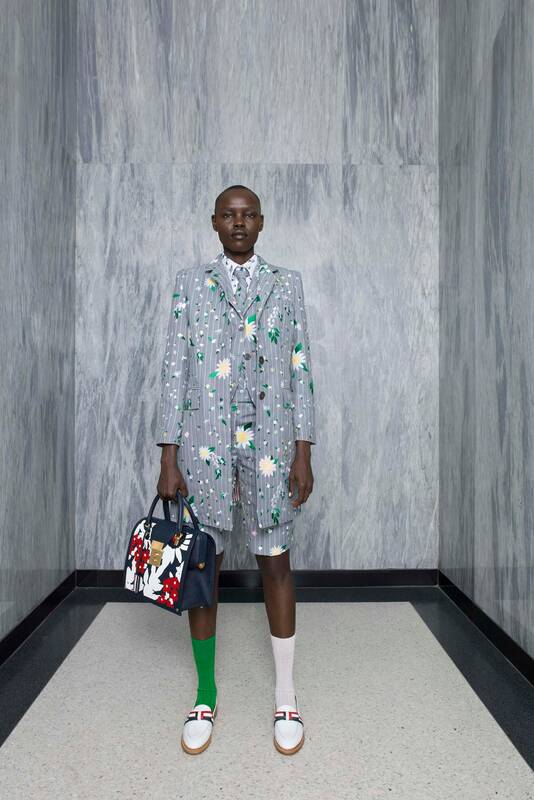 In this piece, also by Thom Browne, I really like the way he put a floral pattern on top of stripes and creates an innovative pattern. In all of his editorials, I absolutely love how the simple background and poses juxtaposes with his flamboyant designs and colours. Have you got any Resort 2017 favourite collections or pieces? I loved this. Your love for fashion really showed here. Yes, I love it all!! Yes, his collection is also one of my favourites! !